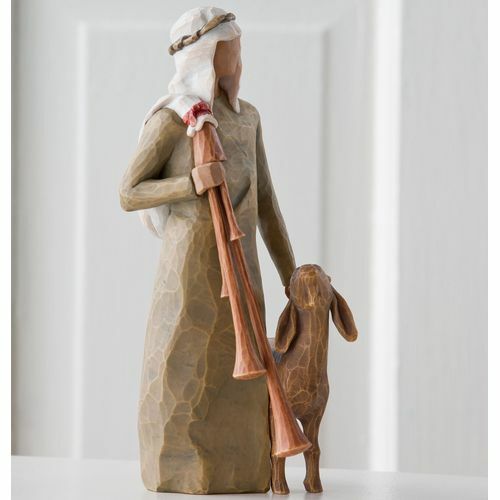 Message on the card inside reads: "A Shepherds gift... a joyous melody... proclaiming the news"
This nativity figurine features Zampognaro (pronounced zam-pone-ya) and a goat, he is a familiar character in the traditional Italian nativity scene who plays a zampogna - an ancient shepherds instrument that produces a vibrant, lively sound. 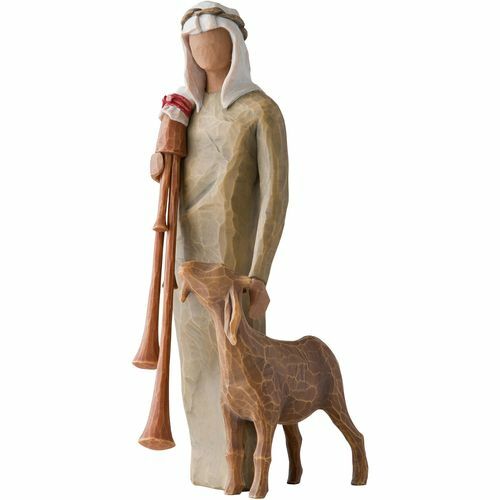 The Zampognaro gathers people together for carolling and dancing, he is the Shepherd of good news, bringing joy to the holiday celebration with music and song. 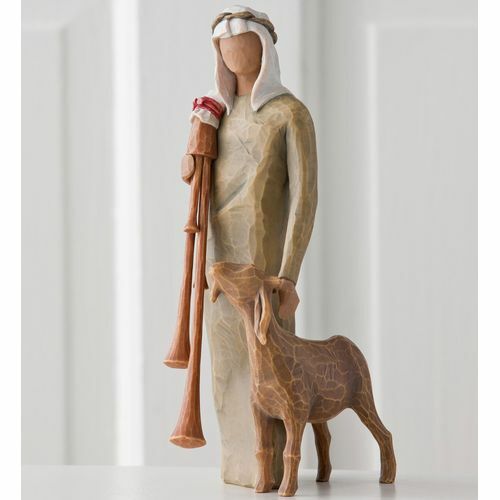 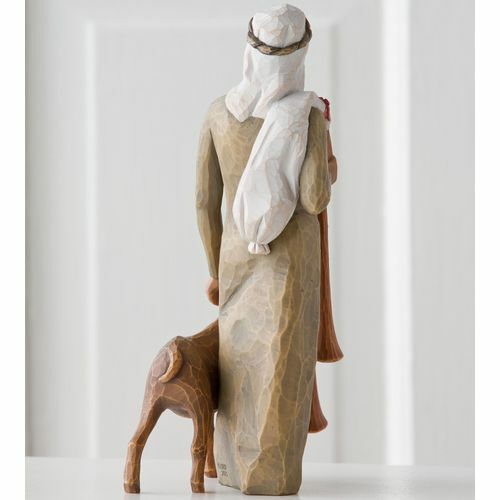 This figurine has been created to complement the scale of the classic Willow Tree Nativity collection.